This Grandmother's Garden: "Take My Breath Away" Beautiful! "Take My Breath Away" Beautiful! My Iris are finally beginning to POP! And they are "take my breath away" beautiful! 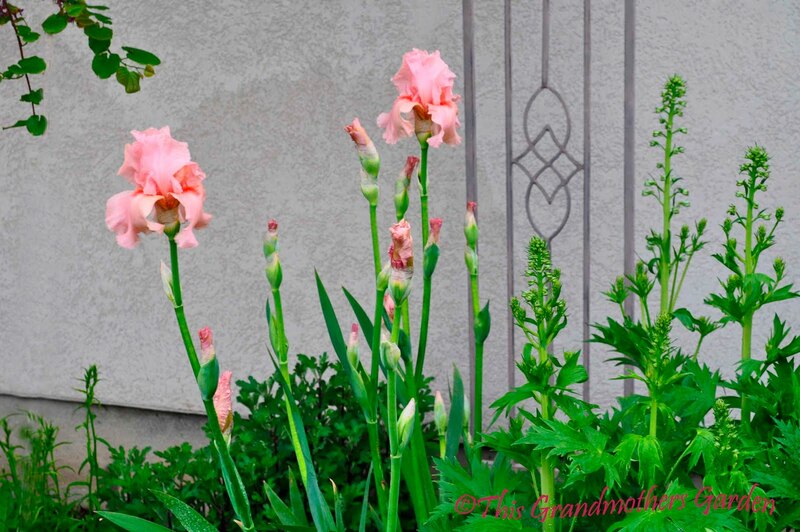 Ten years ago, a dear friend who shares my love for gardening gave me an Iris rhizome to plant in my garden. 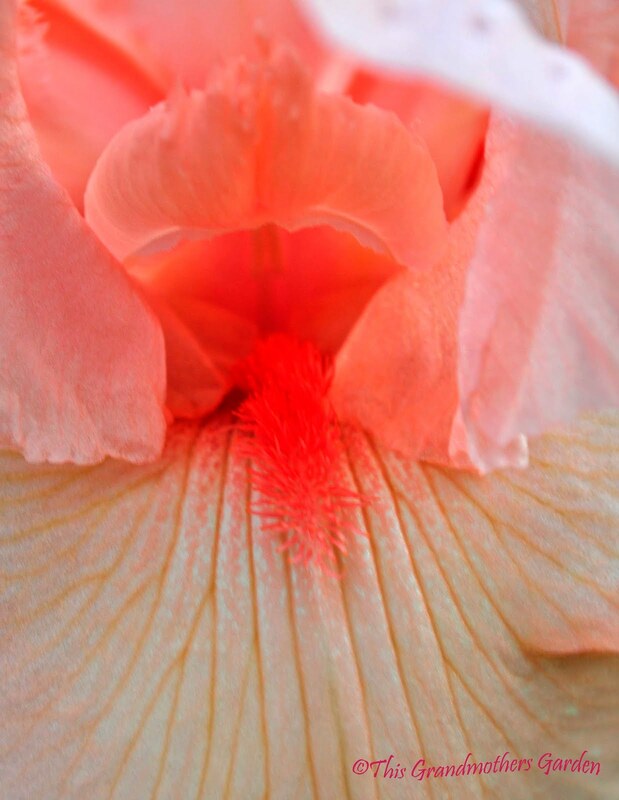 She showed me a picture from a catalog of a beautiful peach Iris that immediately captured my heart. 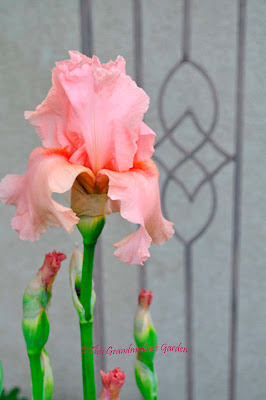 Never had an Iris been a part of any of my gardens, and I was thrilled to plant one now. I planted the rhizome in my Oregon garden and waited patiently for it grow. I waited two years for the first blossom. and it was the most beautiful color I could imagine. The following summer I had to bid my sweet friend goodbye. Our family was moving to Utah. But I couldn't leave behind my Iris. I dug up the rhizome and brought it with me to our new home in Utah. that stole my heart at first glance. That first rhizome, given to me years ago, has been divided many, many times to share with my dear friends. A single rhizome for each friend to nurture and in turn share with their friends! And so the gift keeps on giving. Your gift has multiplied a hundred fold! What a stunning Iris! The color is so eye catching. I hope the weather cooperates so the blooms last as long as possible. Thanks for brightening my day! 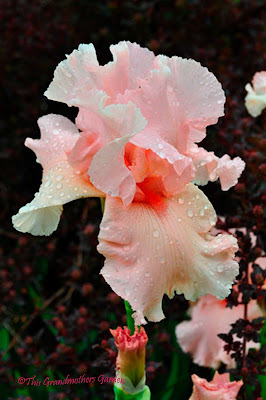 It is a very beautiful Iris. I love the color and what a nice display of blooms. What a wonderful way to memorialize a friendship. Irises are one of my favorite perennials. I inherited some that are decades old and I think it's so cool that they date back generations in our family. I think it is Iris 'Beverly Sills', named for the opera star. But I like your name better: Friendhsip Iris! So beautiful. 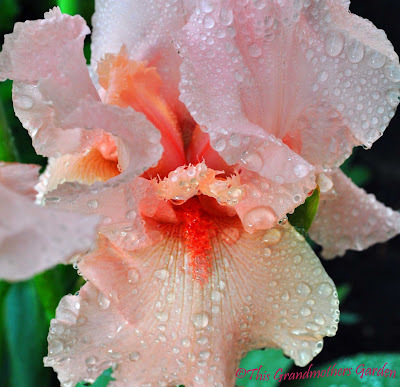 Your 'Friendship Iris' is beautiful. I never thought to divide mine, mostly, I think, it's because I'm a bit lazy on that point. The plants I have tried to divide (Day Lillies and Hostas) have required such major muscle and will on my part. Some roots just don't want to part. I visited your writing blog, and I recognize the struggles and rewards that you write about. Your college professor sure had some wise words for you. Write what you know! What a stunning colour! And plants always mean more when they're grown with a back story. So glad you all enjoyed my post. Thank you for visiting! And thank you especailly for your sweet comments. Now that is one magnificent iris, and I don't say that lightly. Just totally gorgeous. I think I've got to find it to grow. 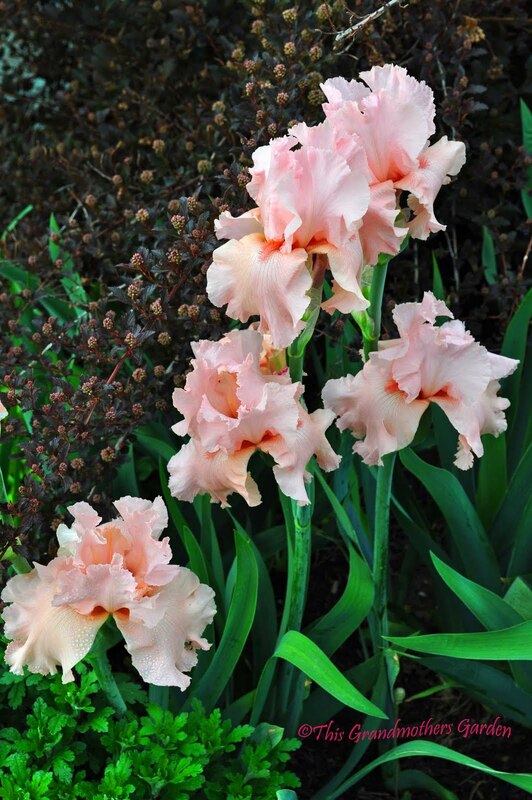 And I love the idea of the friendship iris with the rhizome sharing. Yes, it seems to be 'Beverly Sills'. Check out google images for plant ID. It's really great for that. 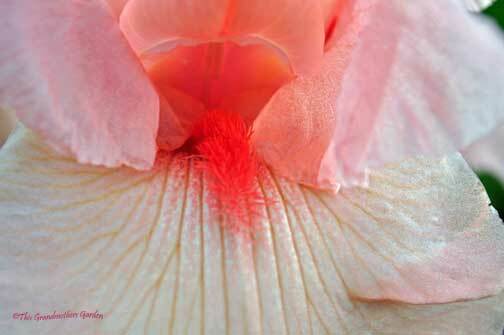 You can google something like "peach iris" and there it is! Thank you for sharing your comments as well, Sara and David. 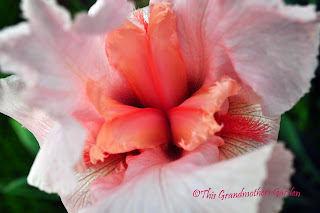 I love those iris blooms of yours...if only I could grow iris in my tropic garden. And love the sentiments expressed about this friendship iris.